So without further ado, here’s a few of the little moments I’ve noticed so far this winter. Skiing! Sure, I slid off a cliff one day and earned a couple of massive bruises. But so what? Skiing’s not easy. I’m not good at it. But it’s so much fun to be outdoors in the winter. First, I fell on the trail, but my skis kept going . . . taking me right over the cliff edge into this ravine. I hit a tree eventually. Except for the bruising, the only thing that really hurt was my pride. Strange(r) encounter at Starbucks. On our ski days, we get up early to buy sandwiches and coffee. (You may recall this is the same thing we were doing on a different occasion–my bad behavior day. ) While we waited for our order, a woman with a worried expression noticed our ski gear. She broke the code of stranger silence to make sure we weren’t supposed to be passengers on the ski-school bus about to depart the parking lot. Clearly she didn’t have to care, but she did. And that’s just nice. Working from home. I am SO grateful that when school gets cancelled because of dangerously low temperatures, I can still work and accommodate a snow day (or three). Though I miss some things, like extra monitors, other adult humans, and the ready access to my file cabinet, I know it’s a privilege to have a WFH option. Jackson! Like many kiddos Jack was delighted to have three days off school. Luckily, he’s old enough now to understand that I can’t play games with him all day. Instead, he played video games, read, and built some Lego creations. Then, when I had a chance to break for lunch, he beat me at Yahtzee. Our neighbors. On the coldest evening of the 2019 polar vortex our neighbors asked us over for take-out Chinese food. The children cavorted in the basement. Someone brought over wine. And I had an enjoyable experience sipping apple brandy while we talked about politics, new restaurants, haircuts, skiing, and weather-stripping for new windows. Instant Pot. I love that thing! Nothing beats a fantastic bean soup on a cold night. If you don’t own an Instant Pot, you must get one. I might like this appliance more than I like chocolate cake. An “old guy” (his words) snowboarding. This dude had a beard worthy of Santa and there he was in line, waiting to shred on the slopes. The only thing he can’t do any more is the terrain park. “I broke my tailbone twice and I figured that was enough,” he said. Then he sat down on the chairlift and headed up the mountain. Art. My friend Erin Burton from Unbound Roots decided to make her gorgeous watercolors available for the rest of us. This woman has TALENT and HEART. If you love nature, you’ll instantly connect with her work. A surprising delight. 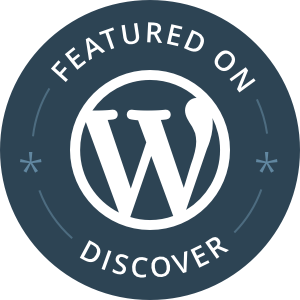 My essay, The Problem with Pretty Girls and Princesses, was number 11 of the 15 most-read posts selected by the WordPress Discover Editors. Oh my. I’m so grateful readers connected with my words. Here’s the nice write up the editor’s did of my blog and a quote from the article. Long, well-lived life. Two fantastic humans I knew and loved passed from this world. This is less-than-awesome in the sense that they left us, but truly awesome that they were here with us for so long. Carl and Ginny, you will forever be loved. Great co-workers. I have been so so so lucky to work with incredible people both at my old job and my new one. I am constantly inspired by them (you). Lunch with a wonderful, smart leader. Tracy Murphy made time to chat with me. Her commitment to mission and people is unparalleled. Getting groceries delivered. Is this a luxury on a sub-zero day or what? Yes, it costs a little bit more. But so worth it for some shopping trips. We used Shipt. Though there are many other companies serving different regions. A nomination. A very lovely someone (you know who you are) nominated You are Awesome for the Annual Bloggers Bash Awards’ Best Personal Development Blog. Which is pretty cool. I hope you’ll consider voting for me when the virtual ballot box opens in April. Look for a link in April and consider voting for the You are Awesome blog for the Best Personal Development award. Your turn: So what’s been going on with you? An always awesome winter moment for me is looking out the window and realizing I’m in a real-life-honest-to-gosh snow globe. Granted it could be even more awesome if that window was on, hmm say St. Thomas, but still awesome. Very awesome! I really love the look of snow from my window. But, I would like it from St. Thomas too! I think I smiled through this entire post – your happiness and gratefulness are evident in your writing and that touches your readers. I can relate to everything you have written (except the instant pot thing because I don’t have one, but I guess I should get one). 🙂 Oh, and the old guy snowboarding as I’ve never seen one, but I respect him A LOT. Also, I’m REALLY liking Shipt too. We’ve been giving in a try for the past two months, and it’s SO nice. Especially for this gal who can’t stand shopping. Next, thank you so very much for the mention and for your never-ending support – you’re an awesome nugget, Angela! Last, congratulations on your nomination! I will definitely be voting for you when it opens. I think you would love the Instant Pot. We were sold when we meandered by a Wiliams and Sonoma and they’d made a berry compote in less than 5 minutes. Then served it over vanilla ice cream. Yum! I need to get out and cross country ski again–I haven’t mastered that skill yet. Skate skiing is harder than I thought, but such good exercise. I hope many many people check out your gorgeous art! 😘 A very well deserved nomination, my love. I’m very sorry about your losses, but true to the circle of life, I am very happy to hear about your new niece. I quite like the sound of your cosy night in with the neighbours. It’s nice you were able to get out and socialise albeit a short distance. I thought of you every time I watched/read the news and heard about the freezing conditions over there! Good news nuggets over here, is the loving support of special friends & my daughter got an award from her headmaster for her writing! Very proud mum here! HOORAY! Congratulations to your daughter on the award! I think she’s at just about the same age I fell in love with writing–this kind of affirmation from her school may mean it’s a lifetime love. No wonder you’re proud! Looking for the good in every situation is awesome. Sharing those experiences with others encourages the downhearted. Finding and being grateful for those nuggets of joy is what your blog is about. Thanks for the encouragement, Angela. Shucks, thank you! I don’t always find the good right away, but I sure try to keep looking until I do! I loved that picture! What a treat to see. I can’t wait to read about where you go next with your leadership and how you share your journey–always an inspiration. They are little things, but important ones. I must admit these posts are as much or more about reminding myself to keep looking as they are intended to inspire others to do the same. So, I am glad to hear you’ll be on the lookout! I’m right there with you. Another great post. Your nomination is well-deserved. I want to be you when I ‘grow-up’ in my blogging life. And very little in life is as beautiful as a cold-crisp sunshine on freshly fallen snow – spoken from another midwestern transplant from California. Angela – I was born in San Diego, raised in the SF East Bay. I landed in Chicago when I turned my life ‘like tossed salad’ at 30 (1994) and landed on a cousin’s coach to start my life over. Love calling Chicago home now! Wow! I was born in OC, went to school in San Diego and moved to the East Bay for two years. Someday we’ll have to compare notes! Congrats on the nomination. Well deserved. Canadian here and I enjoy winter and snow. This year more rain than snow and I’m not liking that. Read Starbucks and stranger silence and smiled as here if we are in any line we are talking to everyone. No silence here can’t relate. Congratulations on the nomination.. very well deserved. We also have stranger silence here in the UK. Yes being able to work from home helps massively on a snow day especially with children. We have a garage but it is full of junk and bikes, we couldn’t get the car in.. so yes i scrape the car and use de-icer, hubby will chuck warm water over the car which makes me nervous but does de ice it very quick. Sometimes the tools at hand are simply the best tools for the job! I don’t exactly know why it’s not as good to throw warm water on the car–maybe it re-freezes? I don’t know. But, the point is: We have to use what we’ve got! I think the scraping wasn’t as bad as having to dig the car out of ten inches of snow. It’s good exercise, but sweaty! Its a case of not having the warm water to hot as it can crack your windscreen. This is why it makes me nervous. Yes it is a case of the tools to hand are the best ones for the job. Digging the car out of 10 inches of snow sounds like way to much hard work! Angela, so many wonderful things here, including you only got bruises for skiing into a TREE!!! I don’t get to work from home but working for a school means not having to venture out if conditions are not good enough for school kids. But we have 7 days to make up! And now I feel like the last person without an Instapot, really trying to avoid buying another appliance but everyone raves so. I wonder if I pull my grandmother’s old pressure cooker out from the shed if that would be the same thing? 😉 I second your nomination and Erin’s watercolors made from the heart, everyone should go check them out!! I do think an Instapot is quite a cool invention. I had the same feeling as you, I didn’t want another appliance. But this was worth it. We’re going on 7 days now in our district. And that could seriously impact summer planning! Gah! Thank you for celebrating winter with me!